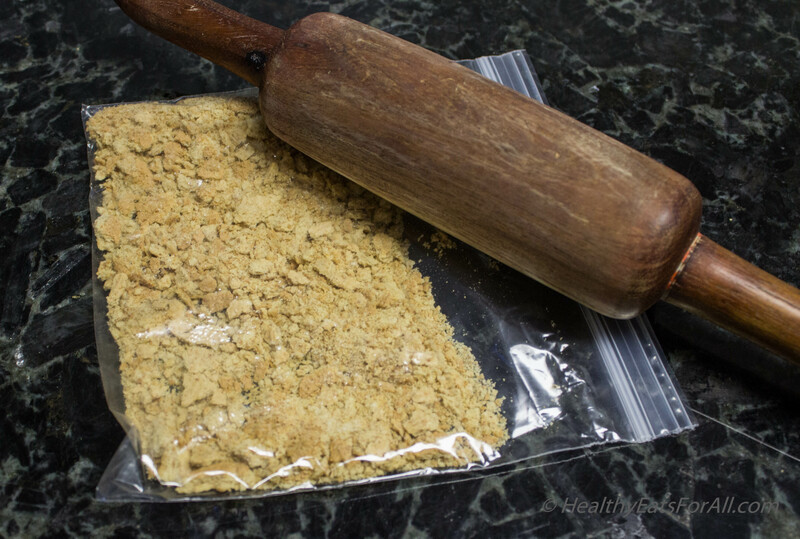 Put the graham crackers in a Ziploc bag and crush with a rolling pin. 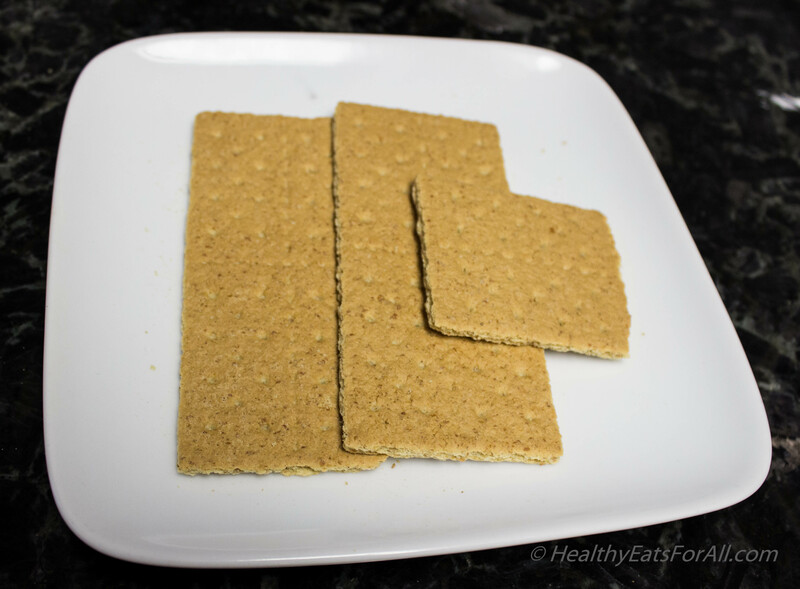 You can use them as it is or toast the crushed crackers in an oven for 5 minutes if you like the toasted crunchy effect. Then cool them. 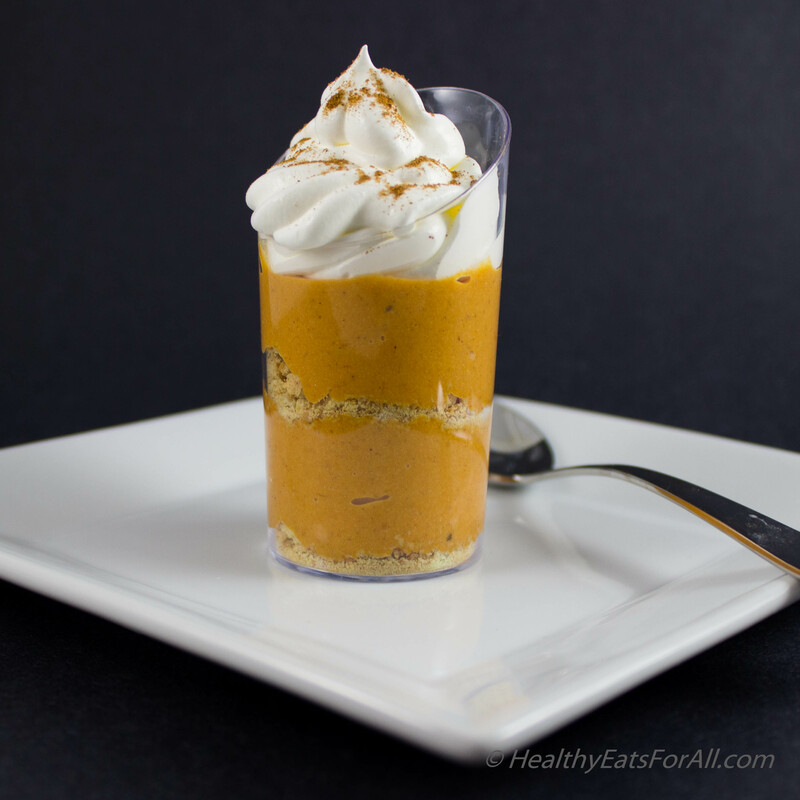 Take a bowl and put the pumpkin puree, heavy cream, Greek yogurt. Sugar and pumpkin pie spice in that and mix with a whisk. 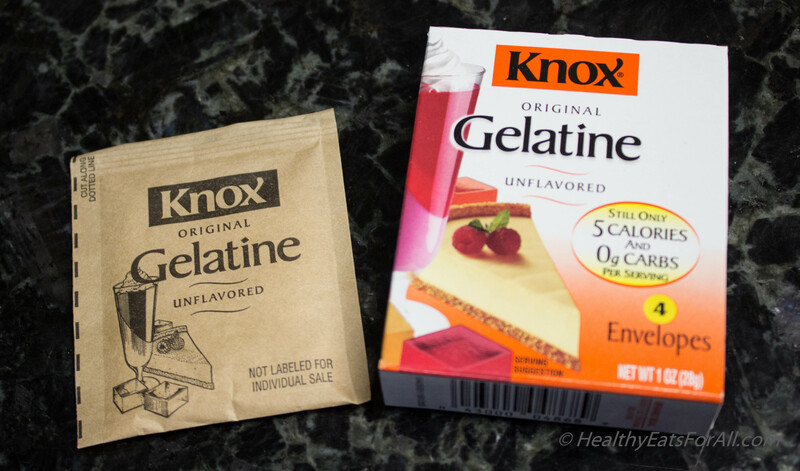 In a separate small bowl add gelatin and add about 2T boiling water. 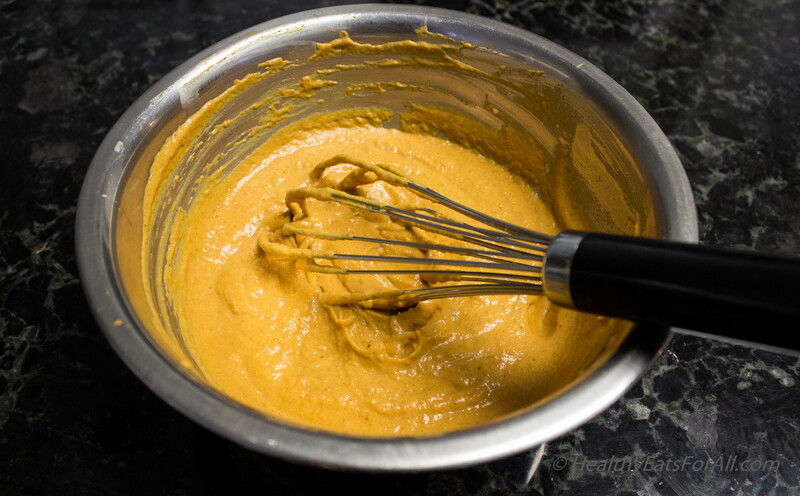 Whisk right away so it dissolves immediately. Add the dissolved gelatin to the pumpkin mix. Mix well. 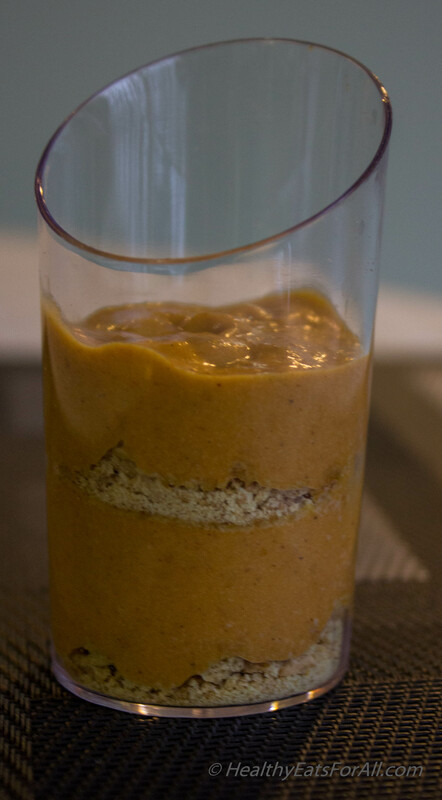 Now to make the layers, take the serving cups and add 1 t crushed graham crackers to the bottom of the cups. Then add 1 T of the pumpkin mix, then another 1 t of the crackers. After that another 1 T of the pumpkin mix. Keep in the refrigerator to set for an hour or two. Garnish with whipped cream when ready to eat. 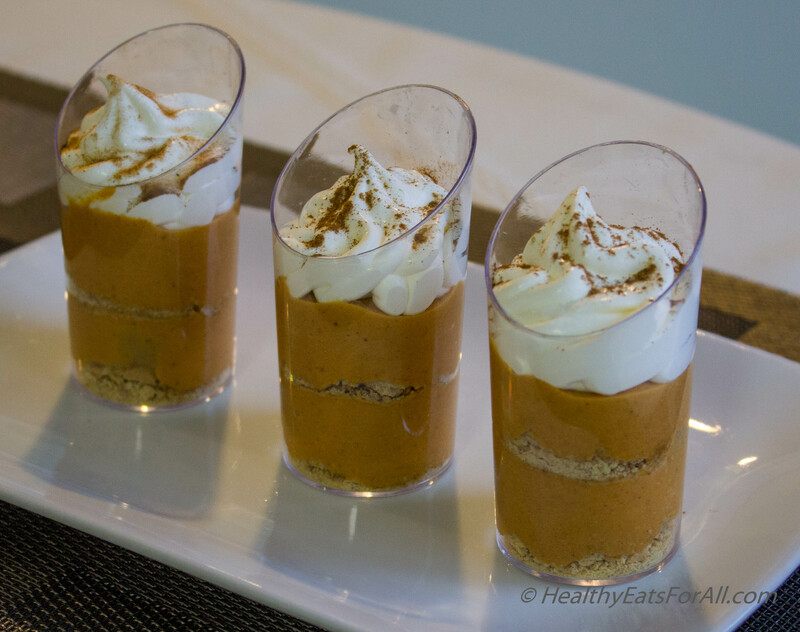 Sprinkle some pumpkin pie powder to finish off!